I love Gnocchi! BUT, I don’t like the shop bought packages of gnocchi. They are either too salty, or taste rubbery, or have a ‘synthetic’ flavor, probably some additives used in the production process. Firstly, I don’t claim to be Italian, nor am I a trained Italian cook! 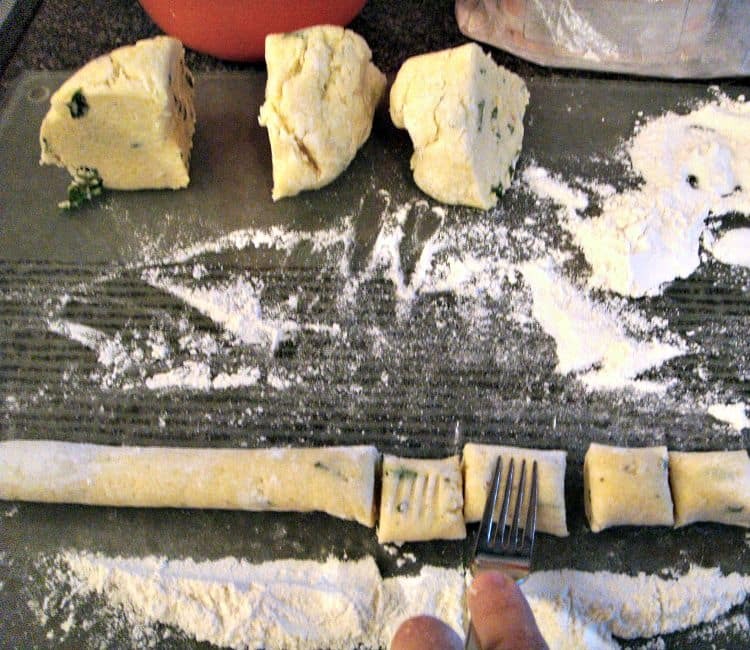 However, this is simply how I make my gnocchi, which is easy, delicious and versatile. In the photo, I added chopped basil and garlic flavor. I change the flavors around whenever I make this, depending on what I’m in the mood for. You can too! Adding some fresh chopped herbs, or maybe cajun seasoning or some of your favorite spices makes it very delicious indeed. You can serve these as they are, like you would a pasta or potato side dish, or add a tomato sauce to them, with some nice chicken. You can also saute them in a little olive oil to brown and crisp them on the outside. 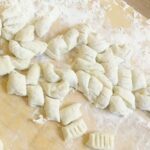 This homemade Gnocchi recipe really is so versatile! Add to our creamy garlic mushrooms in a delicious sauce, or a dollop of your favorite BBQ sauce if the mood takes you! There are no ‘rules’ in my house when it comes to eating these. Just make them to your taste! Budget and freezer friendly, these really are great to have on hand any time! 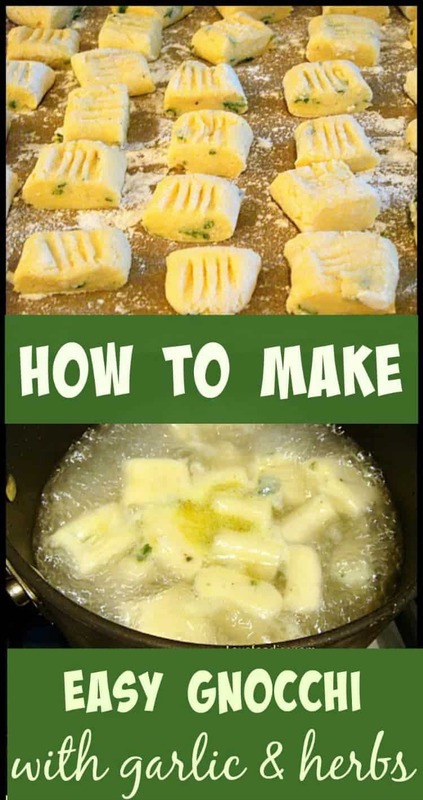 Homemade gnocchi is great for using up leftover potatoes, whether it’s mashed or baked potatoes you have leftover and fancy switching up to make a different meal the following day, then this recipe is perfect!. I often freeze this in batches, so for the quantity in this recipe, I can get 4-6 portions. 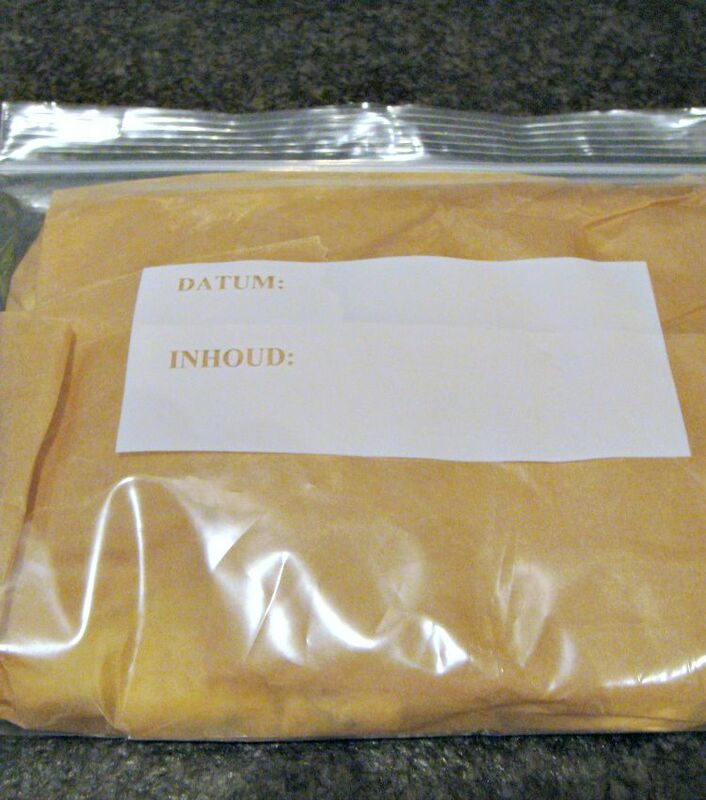 Something I do often is grab a bag out from the freezer and let defrost. then simply saute some chopped bacon and gnocchi together in a pan and eat as it is in a bowl. So easy for a weeknight dinner! 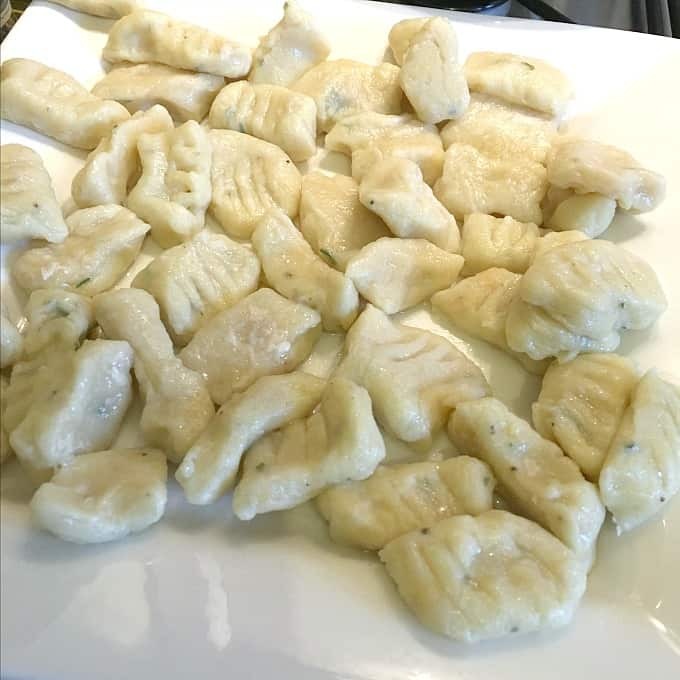 So let’s get straight to the recipe and see how to make our easy gnocchi recipe. Seasonings and herbs to taste. Here I used a handful of fresh basil and instead of salt, I used garlic seasoning. 1. Firstly, you need to cook the potatoes, mash them fine and allow to cool. If you have a potato ricer, that would be super! I don’t, so I just used my regular masher and made sure no lumps were left. Have your potatoes mashed and cooling in plenty of time before you make your gnocchi as you can’t mix everything whilst the mash is hot. 2. 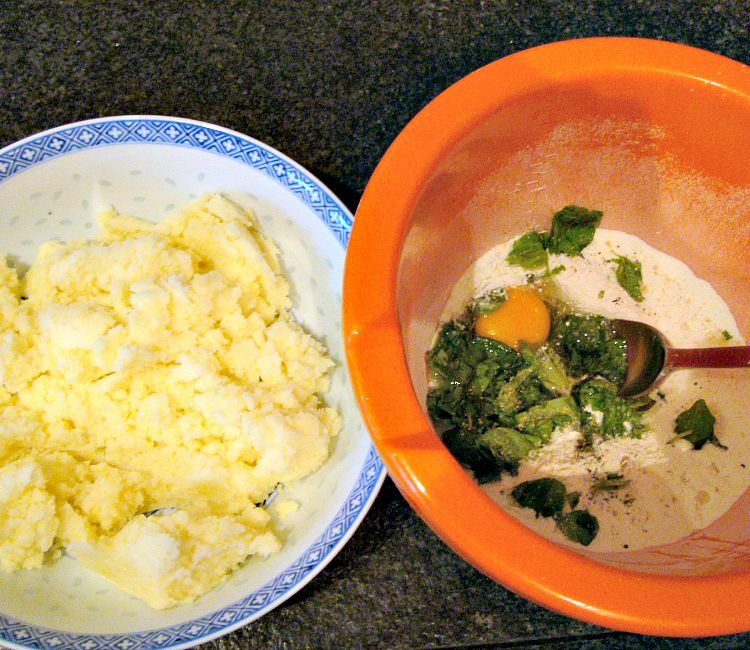 In a mixing bowl, add all the other ingredients, then add the COOLED mashed potato. At this point, I go in with my hand and mix very well. At first, it won’t seem like everything is combining, but be patient, keep squashing all the mix with your hand and it will eventually come together and look like the picture below. It usually takes me about 1 – 1 1/2 minutes of squashing the mixture with my hand. Don’t be tempted to add any liquid. Just keep squashing! 3. 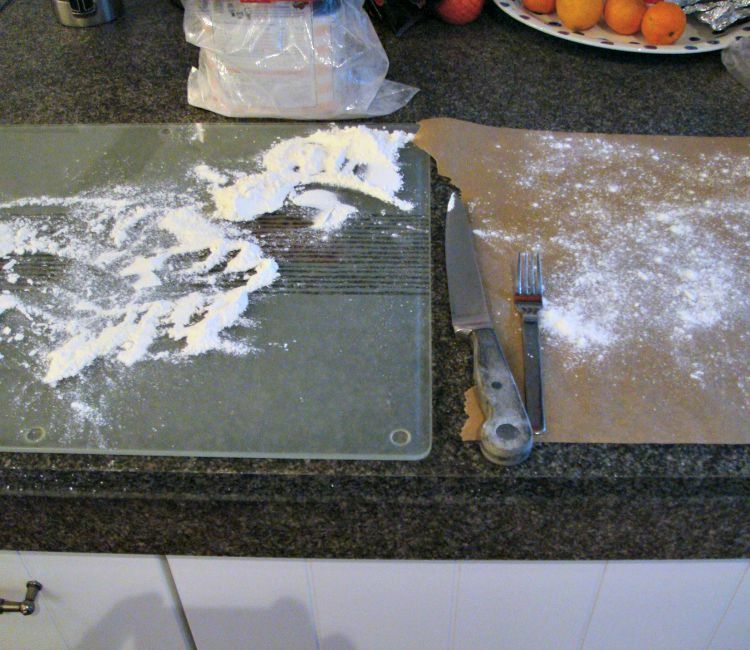 When your mix is ready, dust the work surface with some flour, and have some parchment beside, also dusted. Or use a plate. Have a knife and a fork ready too. 4. Divide the mixture into 4 parts, and with the first part, roll and shape into a long sausage like the photo. Use both hands and roll and roll! You need it to be about 1 inch thick. 5. Take your knife and cut all along the ‘sausage’. You can make them as long or short as you like. I cut mine about 1 inch long. Bite size. 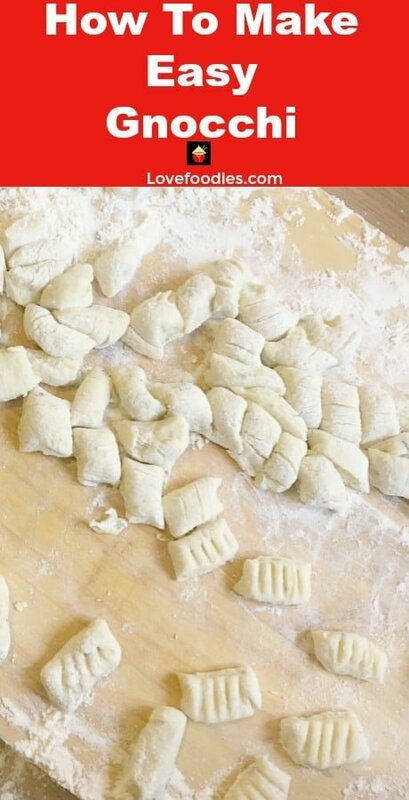 Then take a fork and gently press about 1/3 the way down on to each gnocchi piece like in the photo and transfer them to your parchment/plate. 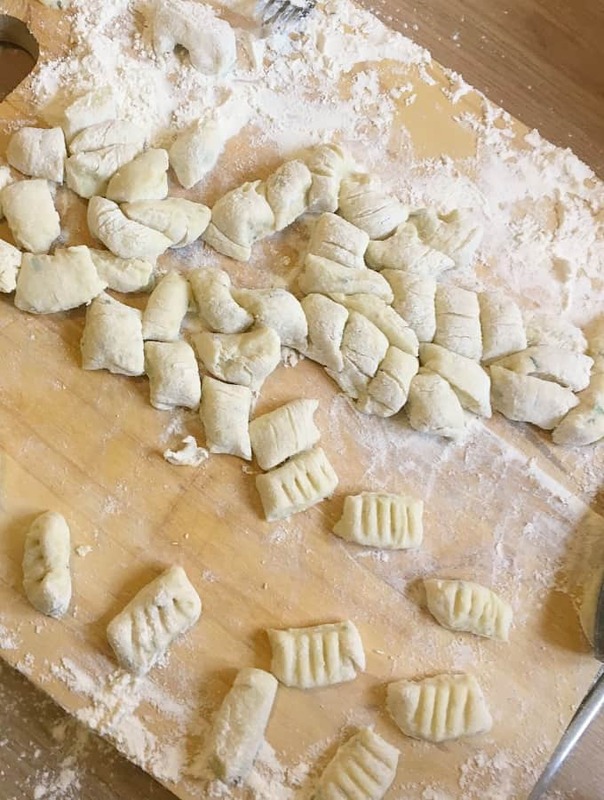 The photo shows some gnocchi I was making with my friend. I cut the pieces and my friend Jane made the shapes. We had so much fun! 6. Repeat this ‘sausage’ shaping process for the other three parts of the mixture. 7. When all done, it is at this point you can freeze these very nicely. All I do it wrap them in some flour dusted parchment, into a zippy then freeze. To cook them, you can do it from frozen, just get what you need from the freezer. Very handy indeed! 8. To cook them. 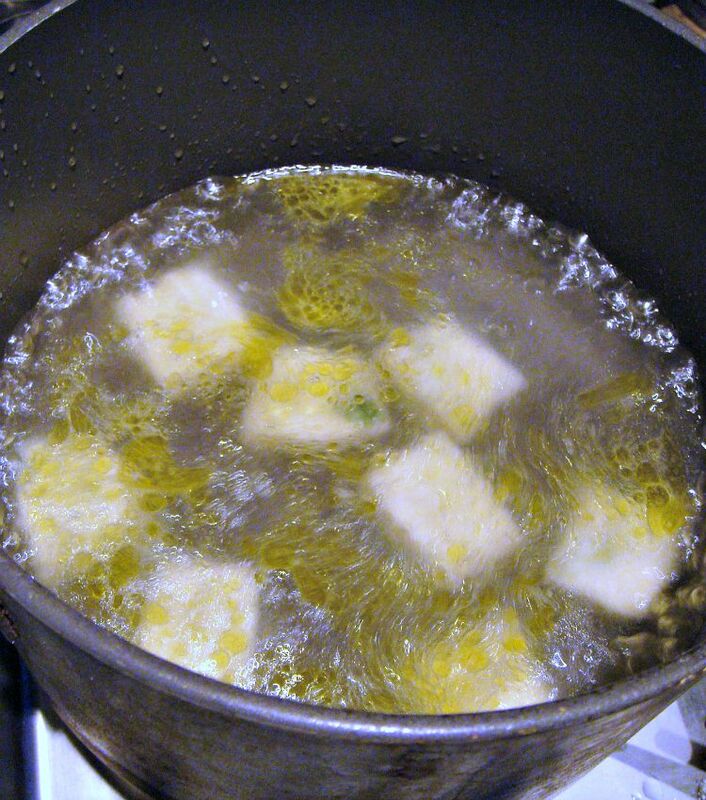 Fill a pan halfway with boiling water and a drop of olive oil. When the water is really boiling, gently place the gnocchi in the pan, stir a little. The gnocchi will sink to the bottom of the pan, so stir a little bit to make sure they don’t get stuck. 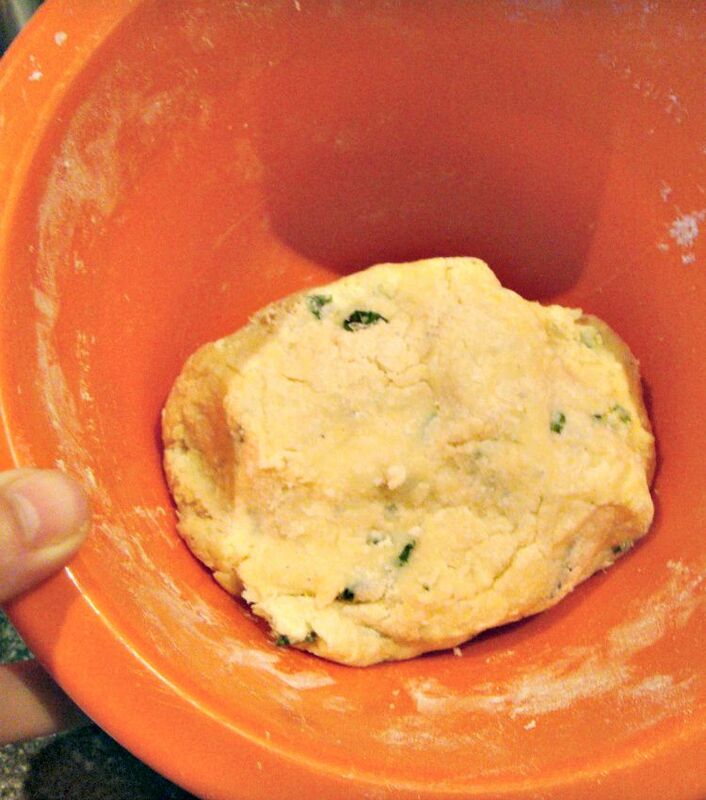 When the gnocchi are ready (about 2 – 3 minutes) they will float to the top like the picture below, and that’s it! Simple as! 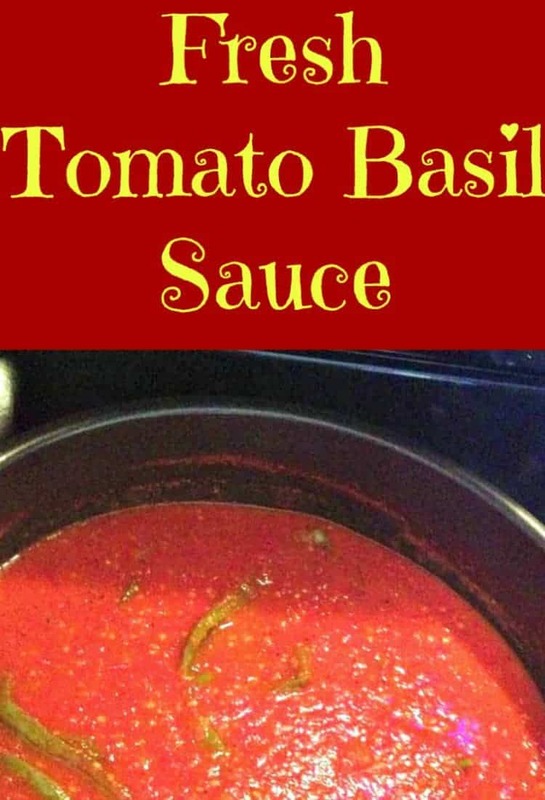 Serve with a nice tomato sauce, or you can transfer them to a fry pan with a drop of olive oil, and saute them with some bacon or a dollop of your favourite BBQ sauce (I know that’s really not Italian, but I like to do that!!) If you are sauteeing, just stir them round in the pan until they are golden all over and a little crispy. As a guide, I think 8 – 10 of these is enough per person, for an average appetite. They are very filling, even though they don’t look to be a lot on the plate! See these below if you’d like to serve the gnocchi with our Home made Fresh Tomato Sauce or a Simple Cheese Sauce. 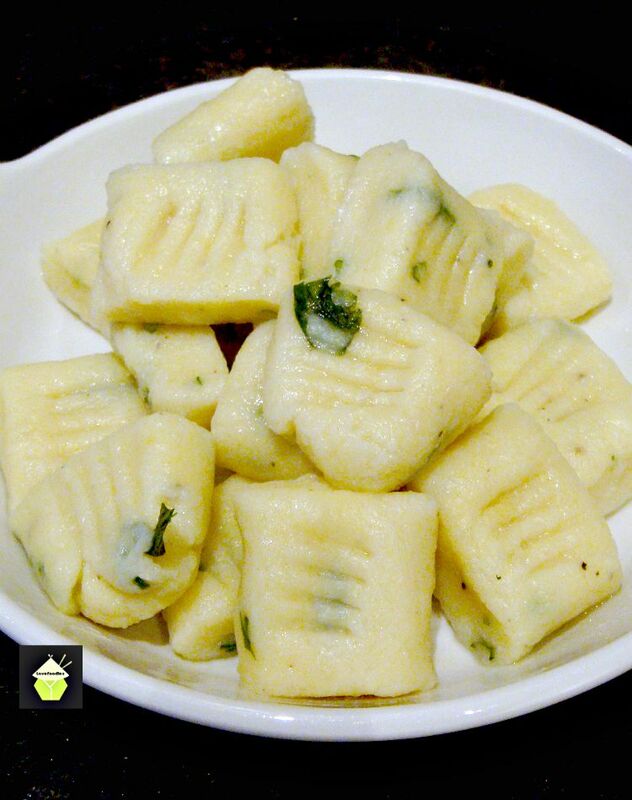 Here are a few recipes you could make to go with your easy gnocchi… mmmm So delicious! 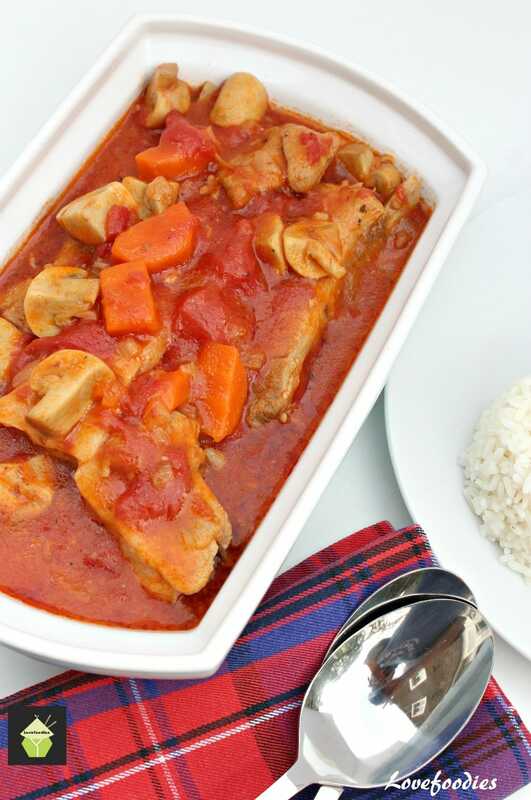 Delicious Tomato and Pork Casserole – you could pan fry the gnocchi to go as a side dish or even add them into the casserole about 15 minutes before the end cook time. 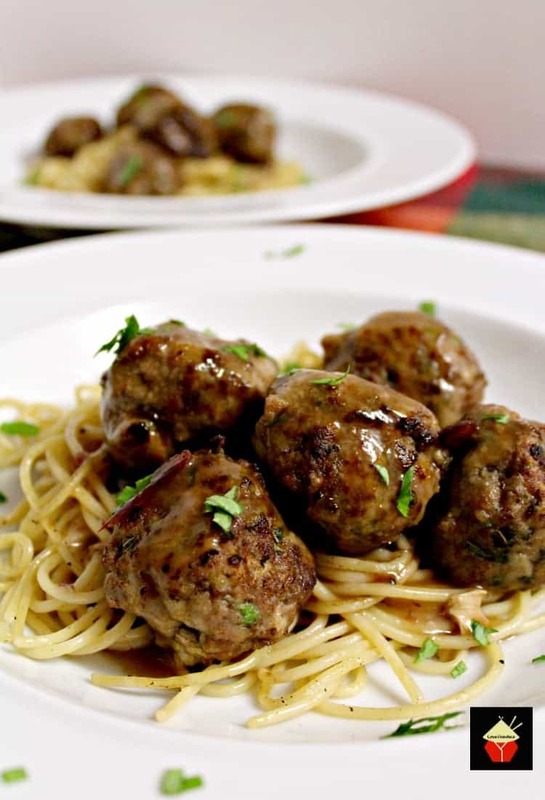 Garlic Meatballs and Pasta. Simply swap the past for gnocchi. Delish! 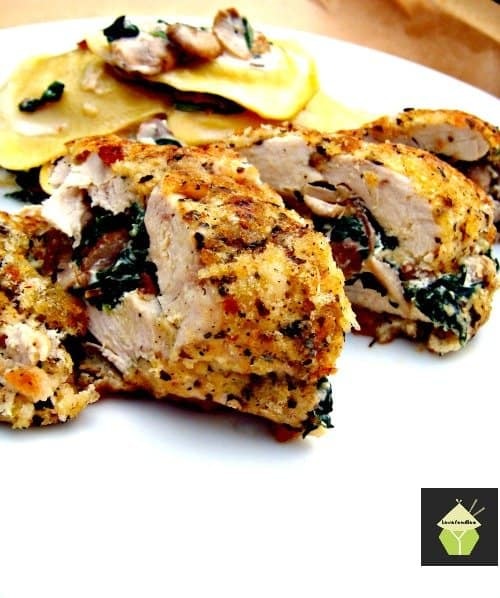 Herb Crusted Stuffed Chicken. Add some pan-fried gnocchi as a side dish. This would be great for a party dinner as you can make most of this ahead of time (freeze your gnocchi as mentioned above then defrost and quickly pan fry till golden). Your guests will be impressed! 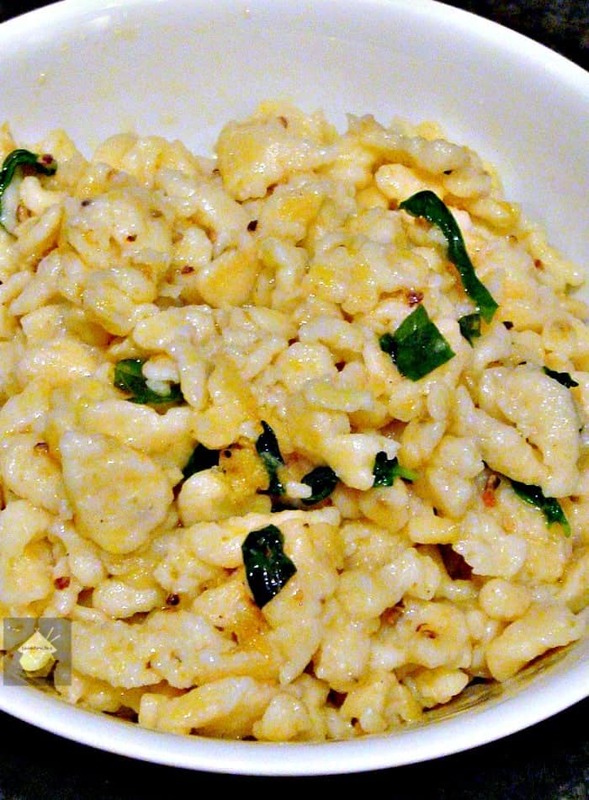 and one more delicious recipe, and a great side dish, Homemade Spaetzle! 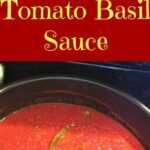 Here I used a handful of fresh basil and instead of salt I used garlic seasoning. Firstly, you need to cook the potatoes, mash them fine and allow to cool. If you have a potato ricer, that would be super! I don't, so I just used my regular masher and made sure no lumps were left. Have your potatoes mashed and cooling in plenty of time before you make your gnocchi as you can't mix everything whilst the mash is hot. In a mixing bowl, add all the other ingredients, then add the COOLED mashed potato. At this point, I go in with my hand and mix very well. At first it won't seem like everything is combining, but be patient, keep squashing all the mix with your hand and it will eventually come together and look like the picture below. It usually takes me about 1 - 1 1/2 minutes of squashing the mixture with my hand. Don't be tempted to add any liquid. Just keep squashing! When your mix is ready, dust the work surface with some flour, and have some parchment beside, also dusted. Or use a plate. Have a knife and a fork ready too. Divide the mixture into 4 parts, and with the first part, roll and shape into a long sausage like the photo. Use both hands and roll and roll! You need it to be about 1 inch thick. Take your knife and cut all along the 'sausage'. You can make them as long or short as you like. I cut mine about 1 inch long. Bite size. 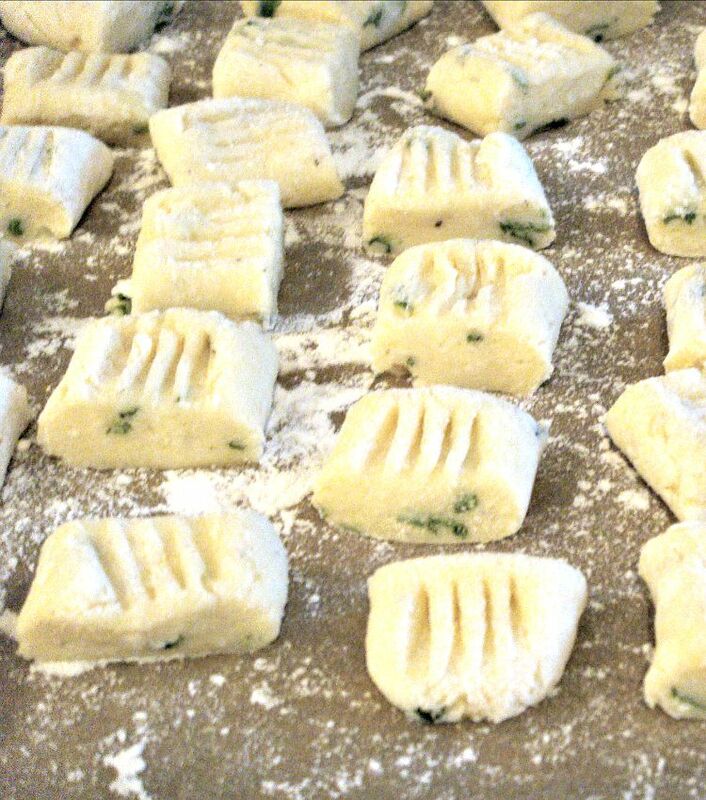 Then take a fork and gently press about 1/3 the way down on to each gnocchi piece like in the photo and transfer them to your parchment / plate. Repeat this 'sausage' shaping process for the other three parts of mixture. When all done, it is at this point you can freeze these very nicely. All I do it wrap them in some flour dusted parchment, into a zippy then freeze. To cook them, you can do it from frozen, just get what you need from the freezer. Very handy indeed! To cook them. Fill a pan half way with boiling water and a drop of olive oil. When the water is really boiling, gently place the gnocchi in the pan, stir a little. The gnocchi will sink to the bottom of the pan, so stir a little bit to make sure they don't get stuck. 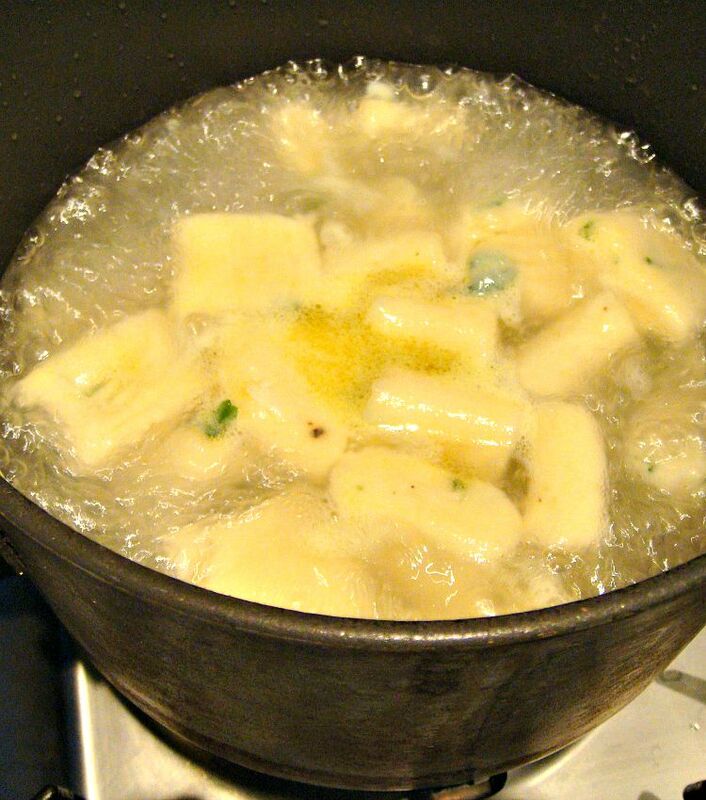 When the gnocchi are ready (about 2 - 3 minutes) they will float to the top like the picture below, and that's it! Simple as! That’s great news Michele, I always make a little extra and keep in the freezer so it’s handy! Please enjoy! Made these for Dinner tonight and my husband loved them.In fact my children and I loved them also . 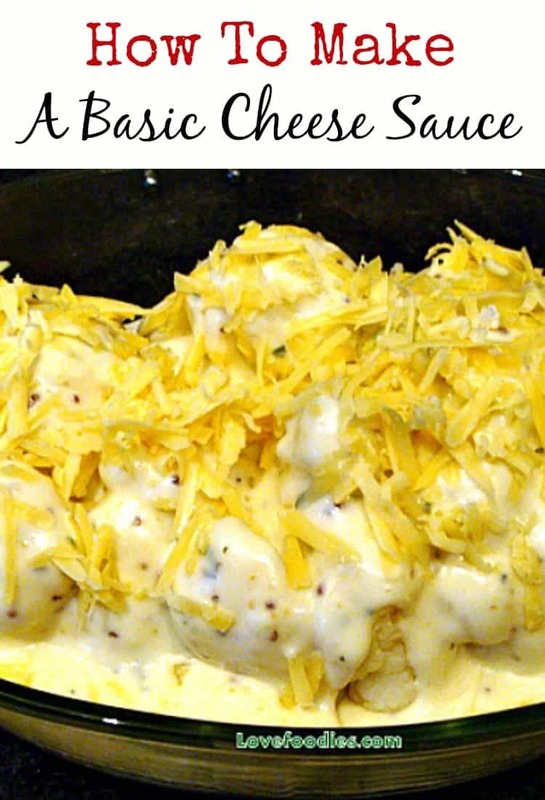 I mixed them with butter and minced garlic…right before serving I lightly topped with Parmesan cheese…DELISH!!! A made butter sticks, also yummy..Im loving “LoveFoodies”.